Kids would definitely find making a simple solar oven of their own more enjoying. This activity of making a simple solar oven can be a fun-filled activity, ideal for summer afternoons, when it's a true hot day. 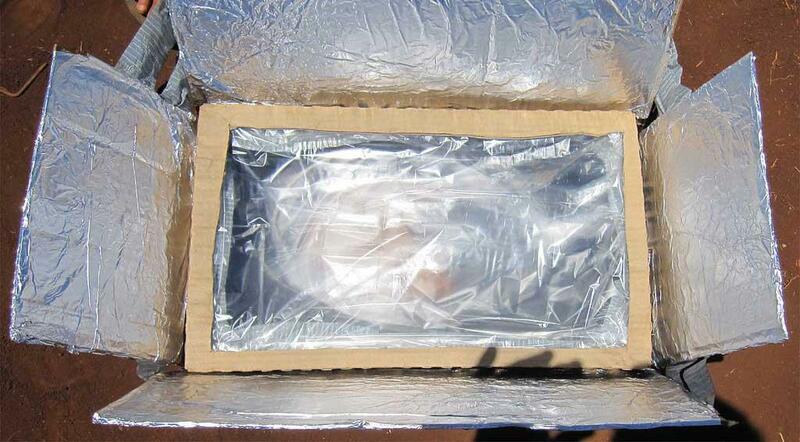 Making a simple solar oven can be great fun and is a great physics project for their school. The most important fact about this project is that it's easy and very simple to make. The material required for this project of simple solar oven are usually available at house and parents can make them available to kids very easily. 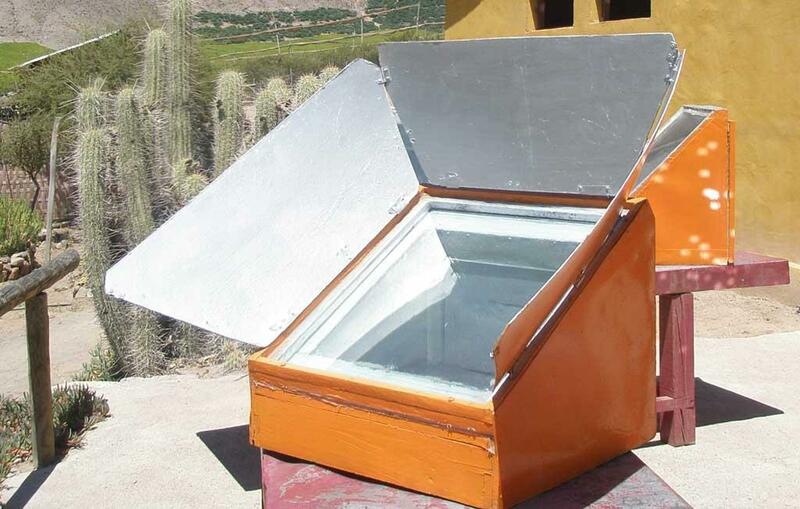 Solar oven is a basic type of a solar cooker that helps one cook with the help of sunlight. The sunlight is the energy source that is used in cooking with a simple solar oven. Such ovens are environment-friendly, but are required to use outside where the solar oven would find its energy directly in front of sun. A solar cooker uses renewable energy and thus its one of the best known food cookers in the world. Kids would love to make something as interesting as this. Parents can definitely help them by supervising their work. Finally once the solar oven is prepared, please help the kids understand the concept of it. 1. Take the box, which ever you prefer (small or large) and draw a square (just 3 lines, don't complete the square) on the top surface of the box with help of a pencil and a ruler. The square should be drawn in the center with just 1 inch space is left on the edges. 2. Once done, cut the three sides of the square and fold it back as a flap towards the uncut line. 3. Once done, line the inside of the box with the aluminum foil. Line it carefully without leaving any gaps. 4. Line the flap too with an aluminum foil. 5. Cover this lining of aluminum foil with the help of a chart paper. 6. Now place a clear or transparent plastic sheet on this and then keep a plate with food that you need to warm over it. 7. Cover the window of the box with the help of plastic cling by wrapping it twice. 8. Your simple solar oven is ready. The plate that you keep inside the box should contain food. What one can do is initially try and melt butter or chocolate. One can also try melting cheese by spreading cheese on a bread slice and placing the bread on the plate that you keep inside the solar oven. Once you get results, start trying out other foods in your own environment friendly oven. One thing that you need to remember is that it needs a lot of patience to cook on solar oven. As solar oven takes longer time to cook as compared to the regular ovens that we have in our house. So be patient and check the results. Please note: It is very important that the solar cooker is placed in direct sunlight for best results. Afternoons are a good idea when the sunlight is at its maximum during summers. - Also one can choose boxes of various sizes. The bigger the box the better! Hope this physics project was helpful for your academic assignments. Don't forget to share your experience below as a comment.